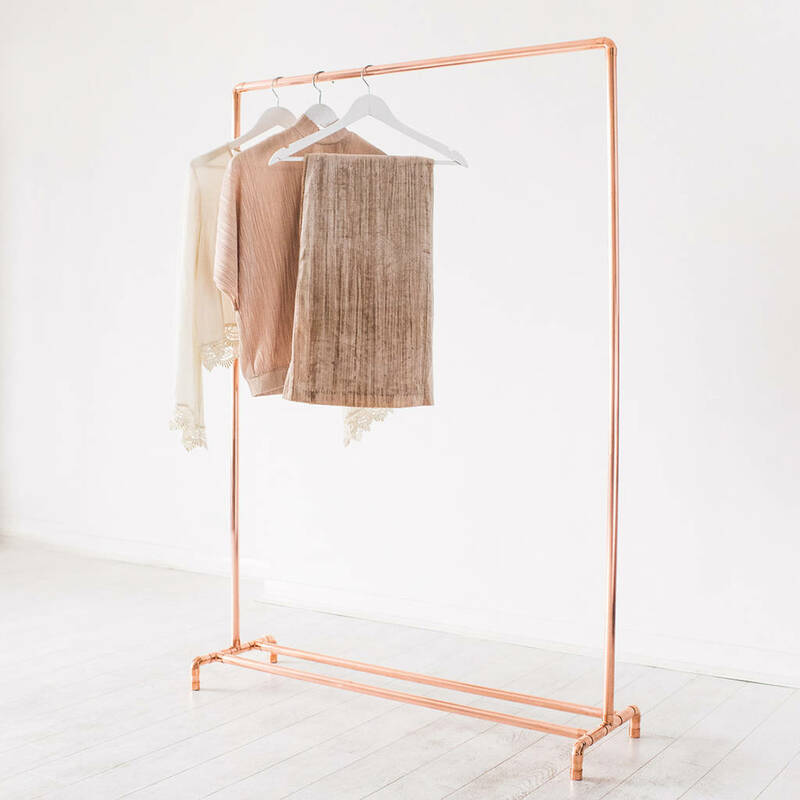 This copper (rose gold colour) clothing rail will complement your home, shop for retail display, or studio. 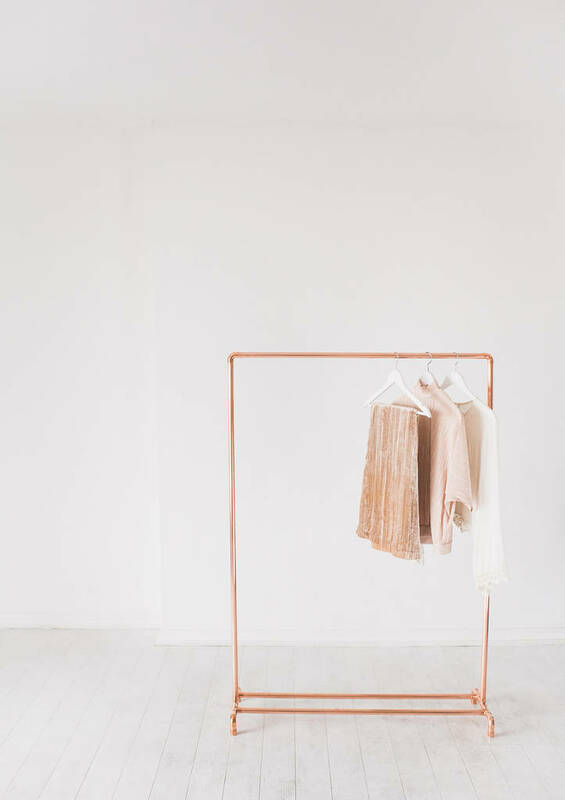 Baskets, shoes and other items can be placed along the bottom bars for extra storage or the bottom can be left open to highlight the airy, minimal construction. 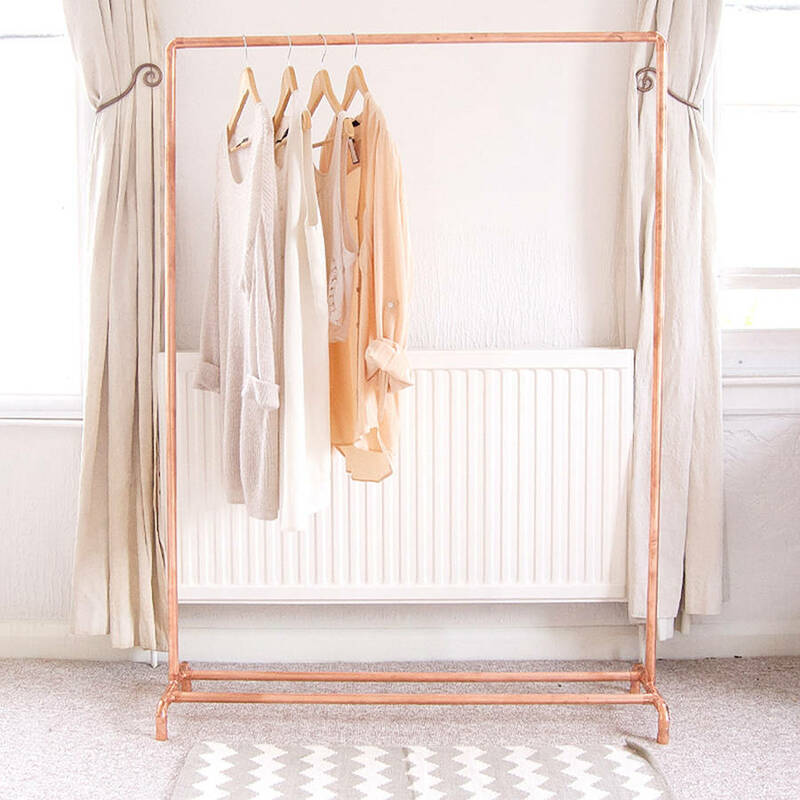 Each garment rack is made to order from industrial copper pipes and fittings in our Brighton studio by the sea. 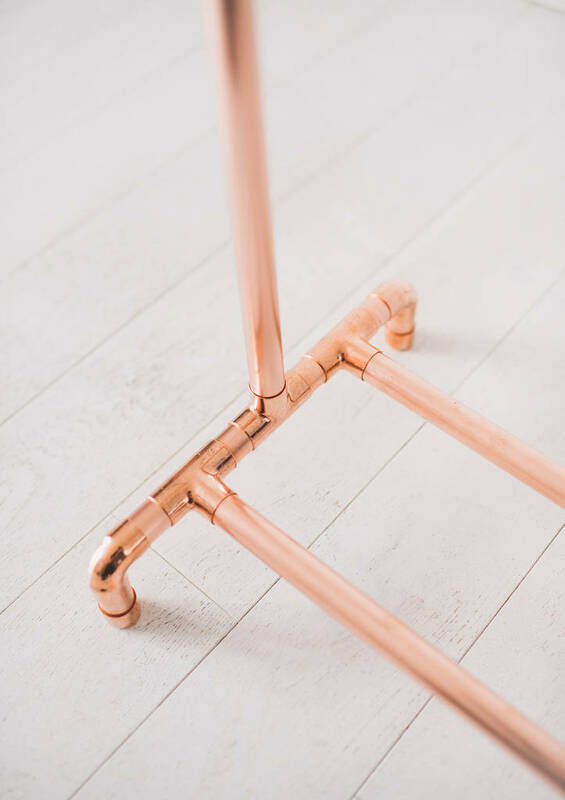 Once finished your rail will be sanded, polished and sprayed with a strong coating to ensure it keeps its bright copper colour. Posted well protected to ensure it arrives with you safe. Takes seconds to assemble. 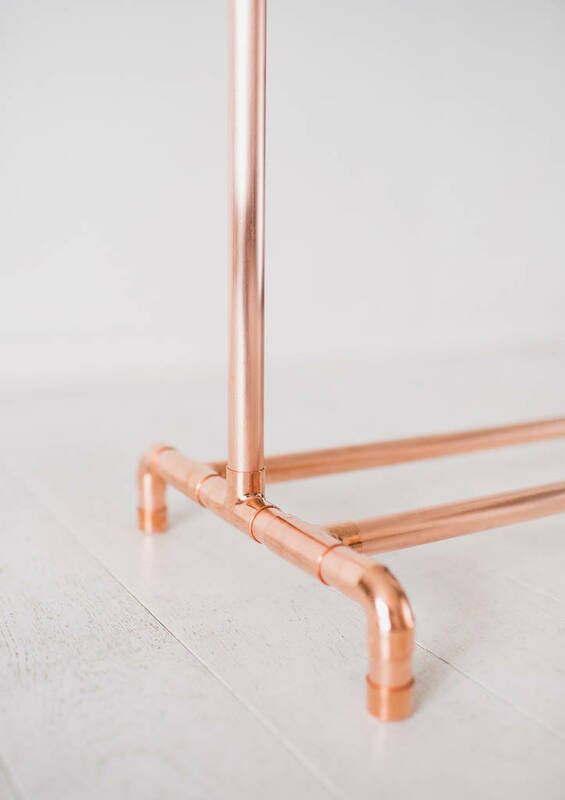 This rail is very strong but is not indestructible so please don't overload with lots of heavy items. Copper. Avoid contact with water.